A house truly becomes a home with the adoption of a companion pet. It all started with a simple retweet on Twitter and now it is something great. We are beyond excited to share that we have partnered up with the amazing nonprofit Pets for Patriots® whose mission is to “give the gifts of fidelity, joy and love to both veteran and pet through companion animal adoption.” While we both have a passion for helping heroes, furry or not, it only seemed right that we combine our efforts to go above and beyond for our heroes. To get our partnership rolling, we would like to share that Pets for Patriots currently has a fundraiser to not only raise money to help grow their efforts, but to also enter them in a rock, paper, scissors battle to win an additional $1,000. 1. Make a donation on the team page today. 3. On the team? Now make a donation to get your fundraising started. Donations MUST BE MADE between now and July 5th. 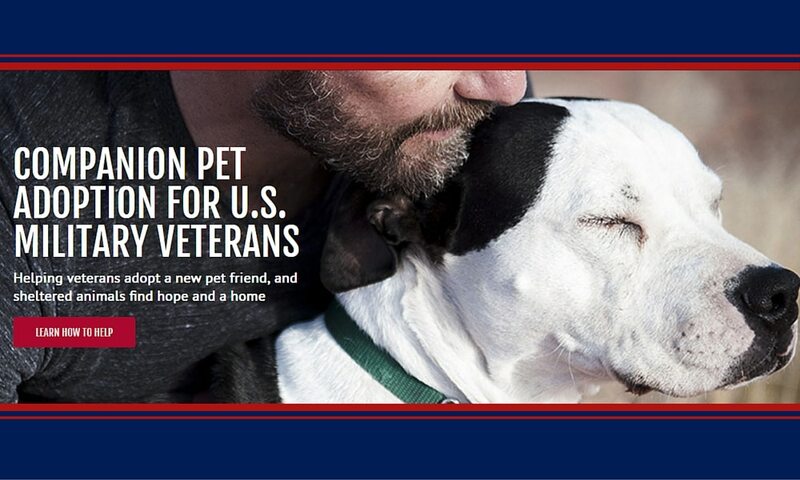 Please note, all donations made on Pets for Patriots’ website or mailed to them during the Challenge are graciously accepted, but don’t count towards the contest goal. While this amazing nonprofit is determined to bring together shelter animals and veterans, they do not ask those who have already given so much to make donations. If you’re a veteran and inspired to support their efforts, please join the fundraising team.